Leytonstone MC/producer Jammer has returned this week with the second instalment in his Jammer Dubz series. The new EP, like its August predecessor, is packed with unreleased instrumentals dating back to his days as the in-house producer for N.A.S.T.Y Crew in the early noughties. It's always great to hear artefacts from the early days of grime getting a new lease of life, and this release will no doubt go down a treat with avid followers of early grime archivers like Silverdrizzle and The Grime Historian. The project consists of seven tracks, including "Destruction Number One", an alternative version of the classic beat which was later remixed and vocalled by Wiley, D Double E, Kano and Durrty Goodz. "Hold It Down"—like the Sharky Major song of the same name—samples The Streets' 2002 single "Don't Mug Yourself", taken from their seminal debut album Original Pirate Material. Mez has freestyled over the latter instrumental to promote the release of the EP. "Dee Vox Thug" is a string-driven number, complete with detuned eastern plucks and grandiose bursts of brass instruments. Meanwhile, "JAMMAWONKEY" is tangibly garage-inspired, with glitchy synth stabs taking pride of place in the mix. Stream the project in full below; here's hoping for a volume three to follow. 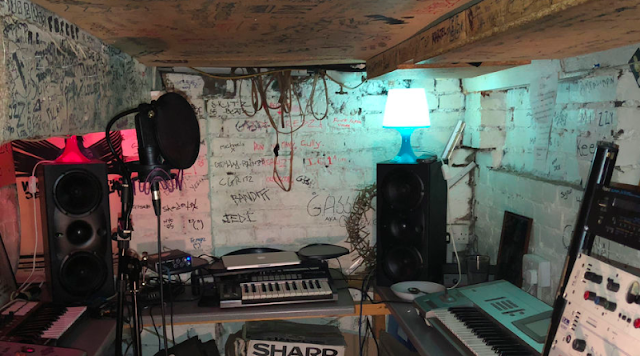 Jammer has also been working on a mysterious project recently, packing some of his favourite creatives into a short spree of recording sessions. Keep your eyes peeled for the results of that too.